A paper published in « Case Studies in Engineering Failure Analysis« , available on sciencedirect.com. Failure was initiated from long seam weld of a cylindrical shell and propagated into the parent material thereafter. Detailed metallurgical investigation has been carried out to understand the cause of failure. This paper brings out the detail of investigation carried out. A vision­based sensing system was improved to acquire 2D images of weld pool shape and tracer particle movement simultaneously. …..
Based on analysis of tracer particle movement, roles of different associated forces, such as gravity, arc drag force, Maragoni force, magnetic force, droplet impact, and viscous force, were investigated. The results show that liquid metal under the arc decreases to a thin liquid layer if the welding speed is more than 1.0 m/min. This phenomenon makes viscous resistance increase in the thin liquid layer, which impedes transverse spreading of liquid metal. Thus, it is difficult for the weld toe to be filled by molten metal. Meanwhile, experiments revealed the amount of forward molten metal can be ignored in the front and middle of the weld pool. Therefore, it is difficult for the weld toe to be filled by the backward molten metal. 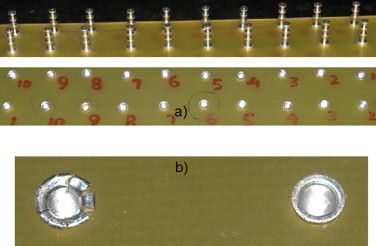 As a result, undercutting defects appear during high­speed welding……..
A Failure Analysis published in « Case Studies in Engineering Failure Analysis » october 2013. High stre ngth low alloy (HSLA) steel with a nominal composition of 0.15C–1.25Cr–1Mo–0.25V is being extensively used in space programme. Owing to its ease of fabrication and welding, a tank was fabricated out of this alloy. The tank is used to contain strontium per chlorate which on combustion develop secondary thrust, effectively used during attitude control of satellite launch vehicle. During one of the routine qualification tests, a tank had failed at an internal pressure of 109 bar, against a designed proof pressure of 120 bar. 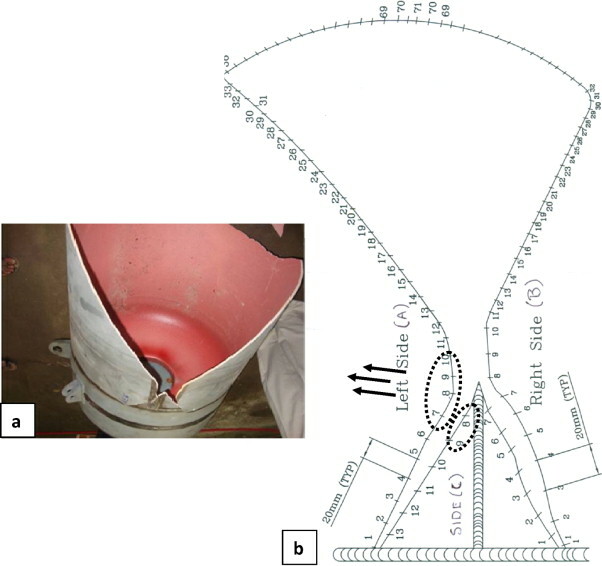 Circular penetrable cracks occurred at the converge region of upward acid media (H2S and HCOOH) in the opposite position of traverse vapor ingress pipe of the lower part of the upper sealing head of the deaerator/sourgas stripper during the operation of the deaerator/sourgas stripper of the ammonia unit in a chemical fertilizer plant. A interesting paper in « Case study in Engineering Failure Analysis » published on ScienceDirect.com. Copper alloys are widely used in electrical circuits mainly due to their electrical conductivity. This paper describes cracking of turret terminals made of free cutting brass during swaging operation.